F1 Firearms had a bit to show for their new product line-up at the 2017 SHOT Show. The new F1 Firearms UDR-15 UDR-15 3G Gen 2 Billet Stripped Upper features a new lightweight skeletonized design and has a universal MIL-SPEC lower receiver capability. The F1 Firearms UDR-15 and UDR-15 3G Lower Receivers are now both capable of universal MIL-SPEC upper receiver compatibility. 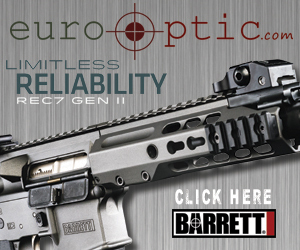 The F1 Firearms M7M Miculek handguard is now available for the .308 platform. The F1 Firearms Safety Selector Kits are available as pictured and in the “Crusader” model and available in black, silver, red, green and blue. The F1 Firearms CMB-DS Muzzle Brake is available in both 5.56 and .308 models and offer enhanced recoil reduction and minimal muzzle rise. F1 Firearms now has additional options for fluting as well as additional black nitride options. Also be on the look out for additional custom color options. I personally know a lot of police officers that have been patiently waiting year after year for the development of a quality Level III Retention Holster that will accept the RMR. The wait appears to be over. Welcome to the model 6364-6360-MOS, at least that is that model that I was given. The MSRP that I was given seemed very low for this model, especially when you compare it to the same holster without the RMR capability, so for now, I will list the MSRP as “TBD”. Per Safariland, the only model of holster that will be available with the RMR in a Level III configuration will also be a light bearing holster. If you opt for no light capability, you will be left with a Level II capable holster. Safariland advised that this holster should be available within 30-60 days as of SHOT Show.